Alan is a highly respected criminal defense trial attorney. He earned an Associate of Arts Degree in Political Science from San Bernardino Valley College in 1969, a bachelors of Science and Law Degree from Western State University College of Law in 1971, and a Juris Doctor Degree from California Southern Law School in 1975. Alan was admitted to the California Bar on December 19th 1975. He is also admitted to the Bars of the U.S. Supreme Court, Nebraska Supreme Court (Inactive), U.S. Court of Appeals, Ninth Circuit and the U.S. District Courts for the Central, Southern, and Eastern Districts of California. 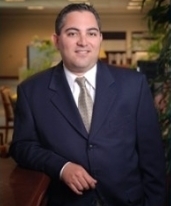 Alan has proven skills as a criminal defense trial lawyer. For the past thirty-seven years Alan has been defending clients charged with capital murder, murder, serious felonies and lesser crimes. 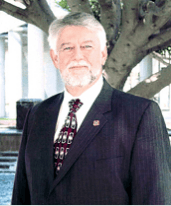 He also has has extensive experience and success in defending all misdemeanor and DUI offenses. His law practice is devoted exclusively to criminal defense. In 2012, Attorney Cooper received the Avvo Clients' Choice Award – a testament to the compassionate support and personalized communication that he strives to deliver to each and every one of his clients.